As the NFL has evolved into more of a passing league, it seems that the importance of the running back position should wane. However there is nothing more powerful than a rushing attack to wear down your opponent or take time off the clock. What we have seen is the evolution of the type of back in most instances. Gone is the huge bruiser to lean on the defense and he has been replaced with a smaller, shiftier type of back. The type to take a handoff in a stretch running play whether the quarterback is under center or from the Pistol and Shotgun formations. The best can operate in multiple sets as well as run routes to catch the ball in space. However there are a few throwback types who smash into the line and come off traps, sweeps, and multiple tight end sets as well. Each team needs to adapt their offense to the type of running and passing plays suited to their back’s ability. To make this list, running backs need to be able to break the first tackle. 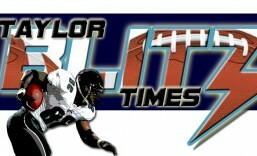 Well here we are with the Taylor Blitz Times best NFL running backs coming into the new season. 10. Maurice Jones-Drew – Jacksonville Jaguars: Although he’s led the league in rushing with 1,606 yards in 2011, Drew is coming back from a major leg injury where he missed most of 2012, and has carried a heavy load the last four years. He has been the Jaguars offense and could be on the verge of possibly burning out as Michael Turner did. This year we’ll have to watch if he’s able to slip tackles and power through arm tackles as he has over his 7 year career. It’s those 954 runs between 2009-2011 that worry us about burning out. He should be good for 1,000 yards this year but we’re keeping our eye on him. 9. Chris Johnson-Tennessee Titans: Did we say gamebreaker?? Well CJ2K is still on the launch pad down in the volunteer state. With a head coach who is a Hall of Fame lineman in Mike Munchak, it’s expected the Titans will come together on the line. This former 2,000 yard rusher stands on the launch pad destined for another big year, yet the vision of that coming is beginning to wane. However he did flash his explosiveness with a 94 yard touchdown last year. In all he ran 276 times for 1,243 yards and 6 TDs. Spiller could be the Buffalo Bills second 2,000 yard rusher behind OJ Simpson. 8. 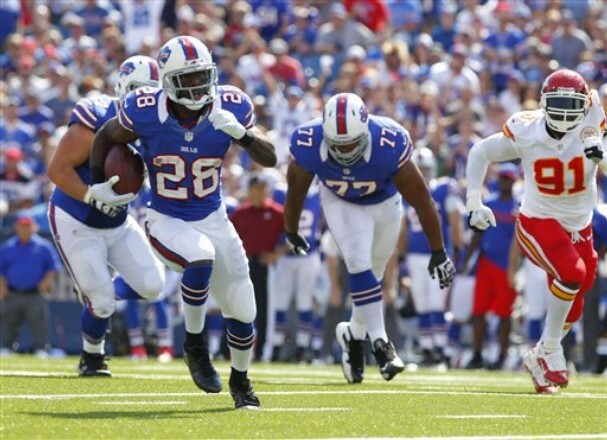 CJ Spiller-Buffalo Bills: Last year he burst onto the scene as the electrifying talent Bills brass and fan base had been expecting. The team needs to quit with Fred Jackson and give the ball to this game breaker 25 times a game. He was on his way to bust status after two years of flashes once he got onto the field. However an injury to Jackson left Spiller as the only runner in town and he exploded for 1,244 on just 207 carries. That is 6.0 yards a crack!! The same average as Peterson who ran for 2,000 yards. This year it should be his year and his team as he shows 2012 was no fluke. He also accounted for 43 receptions for 453 yards and combined for 8 touchdowns. 7. Alfred Morris-Washington Redskins: A surprise rookie performance was turned in by Morris, who was a fourth round draft choice. His 1,613 yards and 13 TDs were among the best in football but let’s ask a fundamental question: Was his performance indicative of his talent or was he the beneficiary of RG III carrying out read option fakes?? He was the second option when it came to rushing the football in many a defensive coordinator’s game plan. Year two will be interesting to watch how teams play him. Yet you can’t underscore he was a tough durable low center of gravity back that thrived in the Redskin’s offense. He’s shifty enough, he seldom took a real big hit with most of the plays being stretch type runs. It reciprocated in holding linebackers honest and allowed Griffin III to rush for another 815 yards and 7 more TDs. He did disappear in the playoff loss to the Seattle Seahawks once Griffin III went down. Would he be nearly effective if he played with another quarterback?? 6. Frank Gore-San Francisco 49ers: One of the last of a dying breed, the do everything power back. One huge beneficiary of the new Pistol offense is Frank Gore. There are still running plays where the 49ers line up in power formations but in large part Gore isn’t facing downhill charging linebackers. The Pistol forces teams into 4-2-5 or 3-3-5 nickel variations where the linebackers are a step behind on the front side of the read option. They are not attacking the run lanes like they do in a traditional sense and this will lesson the wear and tear on a running back entering his ninth year. For the first time in many years, Gore looked fresh the entire season. He started all 16 games while rushing for 1,214 yards 8 TDs while averaging 4.7 yards per rush. His carries will be split between Kendall Hunter and LeMichael James to keep him fresh for the stretch drive. So expect his totals to be a little less also. NFL Network dubbed him “The Muscle Hamster” as he has shown tackle breaking power in his first season. 5. Doug Martin-Tampa Bay Buccaneers: A shifty power runner in an Emmitt Smith type roll yet he has a better downfield burst. If you’re new to the Taylor Blitz Times, we have touted him as an NFL ready back and produced an article on his Heisman Trophy legitimacy before his senior season at Boise St. http://www.pro-football-reference.com/boxscores/201301120den.htm His rookie campaign saw him rush for 1,454 yards 11 TDs while catching 49 passes for another 479 yards and a touchdown. Last year it started when he burst onto the NFL scene with a national televised game against the Vikings. That night he ran for 137 yards with a touchdown while catching 3 passes for another 79 yards and a touchdown. He had a 41 yard run and a 64 yard touchdown on a screen. Just when folks began talking about him he breaks out with his masterpiece. He showed there was another runner on the field that night along with Adrian Peterson. The following week out in Oakland, in front of his bay area family, Martin ran for 264 yards with 4 touchdown runs of 67, 70, and 41, and 1 yards. For much of the fourth quarter Fox was airing his exploits to all other games since he was so close to the all time record. Walter Payton, Eric Dickerson, Jim Brown, OJ Simpson, nor Corey Dillon had ever run that far as a rookie in a game. No SEC back including Bo Jackson has ever run that far in an NFL game period. Only Adrian Peterson as a rookie ran farther. We’re talking all of NFL history here. He will be a candidate for 1,500 yards again down in Tampa. 4. Jamaal Charles-Kansas City Chiefs: The most underrated running back in football. We have heard former Chief now analyst, Bill Maas proclaim he is a smallish type back. 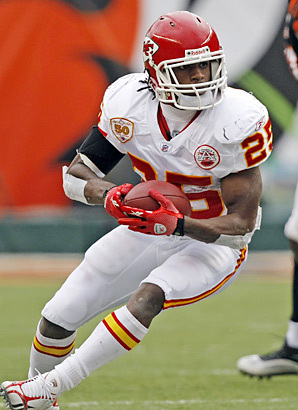 The saving grace for the Chiefs offense last year was former Texas Longhorn Jamaal Charles. Last year he ran with enough power to break tackles and have a Pro Bowl season with 1,509 yards. He had a whopping 5.3 yard average and don’t forget he was a Pro Bowl performer in 2010, when he rushed for 1,467 yards and an even better 6.4 yard average. This is no fluke. He’s only going into his sixth season. Now with Alex Smith and a good passing combo, he should keep up the pace set last year. Texans Super Bowl hopes ride with Foster. 3. 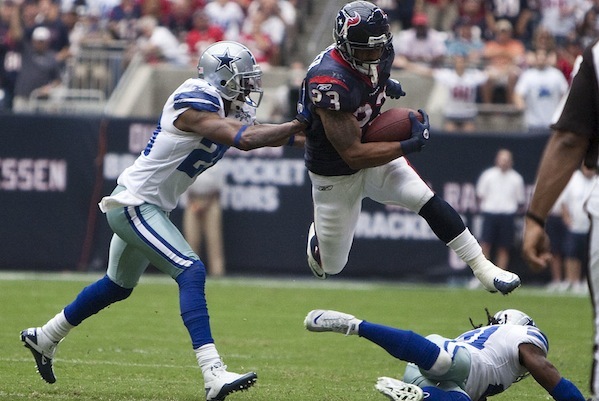 Arian Foster-Houston Texans: Going into his 5th season, the Texans couldn’t be more solid at running back with Arian Foster leading the charge. Next to Adrian Peterson, no back in football has been more productive than Foster’s 4,264 yards and 39 TDs over the last three years. He is not the flashy runner breaking the huge play like CJ2K or Adrian Peterson, but he’s a steady performer that churns out important first down after first down as the Texans closer. 2. Marshawn Lynch-Seattle Seahawks: No runner sets the tempo for his football team like Lynch. He brings a physicality and attitude to the Pacific Northwest that is infectious and goes over to a swarming defense. He has been the lightning rod ever since his famous 67 yard touchdown run to oust the defending champion Saints in the 2010 wildcard game. Although he’s entering his seventh season, he doesn’t have a lot of wear and tear on him. In 2009 & 2010 he only carried the ball a combined 320 times as he played for both Buffalo and Seattle. Last year he thundered for 1,590 yards and 11 TDs as he powered the Seahawks into the playoffs. This is the only running back in the game today that raises the level of the entire football team with his play. Expect another 1,500 yard season easily. Peterson is the best in the game today and is already a Hall of Fame talent. 1. Adrian Peterson-Minnesota Vikings: The 21st century version of Eric Dickerson is absolutely a Hall of Fame running back. Yes you read that correctly. He’s a Hall of Fame runner already. Less than 7 months from damaging his MCL and ACL, he burst for 2,097 yards in a season where the Vikings eased him in. In year’s past we had Jamal Lewis and other runners who tore their ligaments and came back, but they had nearly a full season they sat out or eased themselves into the game first. Not Peterson. What’s startling is this is the season he’ll hit full stride and should break Eric Dickerson’s record of 2,105 yards. Last year he broke breathtaking runs when he was the Vikings only legitimate offensive weapon. Now with quality receivers on the outside in Greg Jennings, Cordarrelle Patterson, and Pro Bowl TE Kyle Rudolph, defenses can’t key on him. You do realize that he already holds the all time rushing record of 296 yards which is also the rookie record as well. 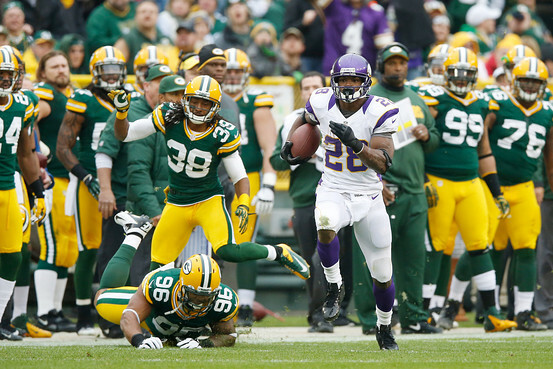 When he get’s to Dickerson’s 2,105 yards, he will be the only back in league history to have two 2,000 yard seasons. There have been only 2 runners who have held these records at the same time. Both OJ Simpson and Jim Brown made the Hall of Fame along with Eric Dickerson. Peterson is already among that group. Another 2,000 yard season will cement it. This entry was posted in 2013 Team Previews and tagged 2012 top ten nfl running backs, Adrian Peterson, alfred morris, Arian Foster, CJ Spiller, Doug Martin, football, Jamaal Charles, Marshawn Lynch, NFL Players. Bookmark the permalink. I like RunDMC but he is too often injured. If he stayed healthy we’d definitely revisit this list next year…. Peterson is overrated, I personally take Lynch as the back in the league. Charles comes in at 2nd, he’s underrated and sometimes overused. McCoy comes in at 3rd because he’s just amazing. Foster checks in at 4th, he’s more versatile than Peterson. Morris comes in at 5th, he gives that unseen speed with a huge frame. Peterson is at 6th, and while he’s dynamic, he wont rush for 2000 yards again. 7th is Ridley. He’s one of the youngest and will be leaned on while the Patriot wide outs learn the offense. 8th is Gore, he’s aging but can still run with power. 9th is Richardson. He looks to have a bigger role in their offense, even the passing game, and can be leaned on and lastly at 10th is Rice. While he’s dynamic, he’s got Pierce behind him. Check out my blog and tell me what you think. LeSean McCoy finished right outside my top ten because he doesn’t break enough tackles or score that often. He only ran for 2 touchdowns. To rank higher…have to perform not just get by on reputation. 800 yards and 2 touchdowns for a supposed game breaker isn’t enough. He doesn’t break enough tackles? 800 yards and 2 td’s when you have no QB, no defense, and you missed a good part of the season isn’t bad.